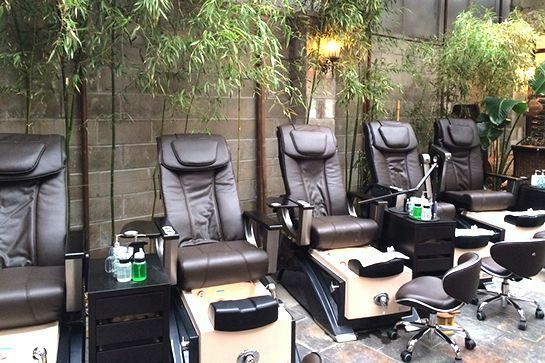 These days, our fair city is home to more than 1,000 nail salons. And, while we can appreciate giving ourselves a good DIY mani while binge-watching OITNB, let's be honest: nail care is one beauty ritual that we're more than happy to outsource. 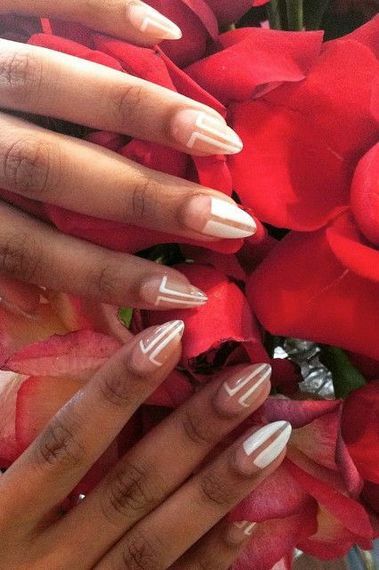 So, we've handpicked nine of the city's absolute best places for a manicure/pedicure, from nail-art galleries to affordable spots that won't make you fear a staph infection. (Always a plus, in our book.) Read on for the polish palaces we swear by -- and be sure to let us know about your go-tos, too. Photo courtesy of Jin Soon Natural Hand & Foot Salon. Nail artist Jin Soon is a mainstay backstage at Fashion Week, where she consistently whips up gorgeous nail looks that quickly become trends. But her salon, of which there are multiple locations across NYC, is definitely a more low-key experience. The spot is known for its luxe add-ons, like a flower-petal foot soak, to give you a seriously relaxing spa experience. Jin Soon Natural Hand & Foot Salon, multiple locations. 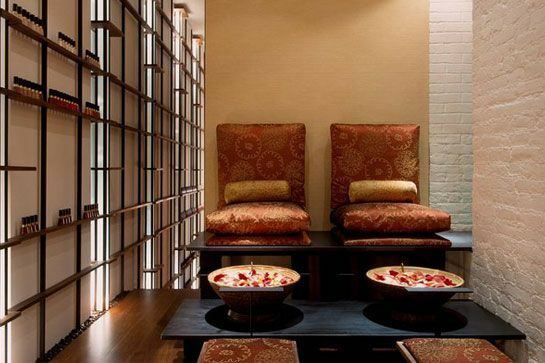 An appointment for one of this LES newcomer's (formerly, Lushlife Nailworks) totally indulgent and blissfully affordable manicure or pedicure treatments will have you feeling like you just came back from one of those spa retreats Gisele gets to take. Listen to smooth jazz, sip cocktails during Hortūs Happy Hour (11 a.m. - 4 p.m., Monday through Wednesday), and talk it out with Jane, the owner, who might be one of the sweetest people we know. 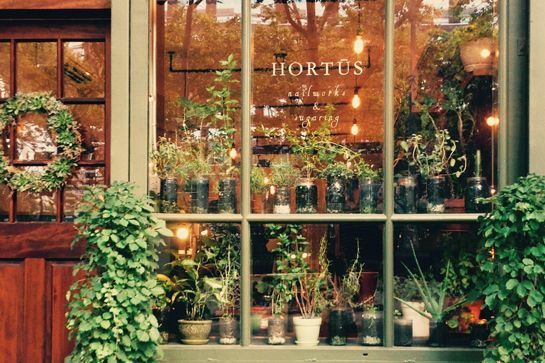 Hortūs Nailworks, 210 Forsyth Street (between Stanton and East Houston streets); 917-475-1558. Photo courtesy of the Nail Boutique. Dying to try acrylic but never had the guts? 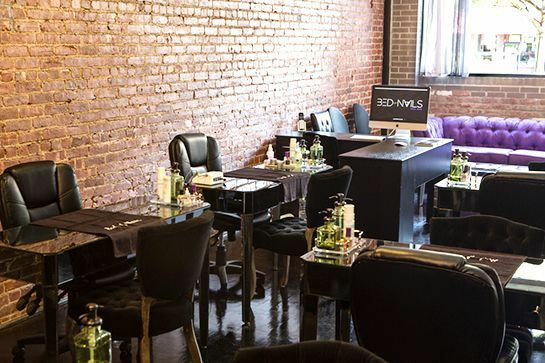 The Nail Boutique has the liquid courage you need -- we mean nail polish, of course. This boutique spa manages to be glitzy without forsaking cleanliness or professionalism. Their chief mission: to make you feel FABULOUS. The Nail Boutique, Multiple Locations. 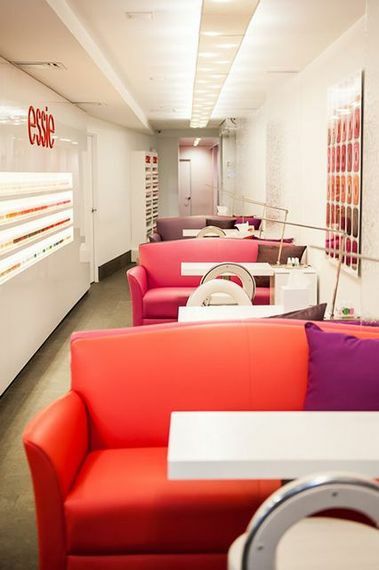 Photo courtesy of Essie Flagship Salon. 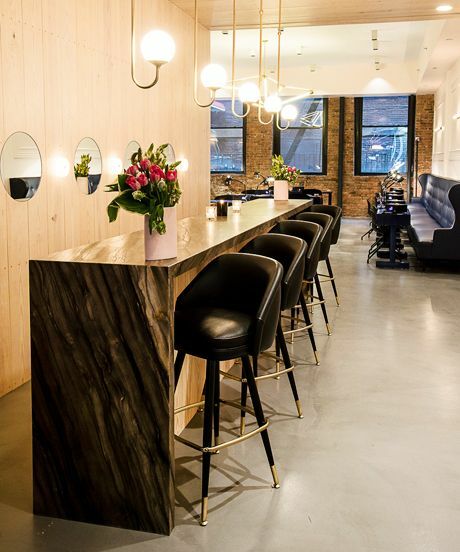 Situated inside Samuel Shriqui is nail legend Essie Weingarten's first-ever salon. Choose from over 300 of the brand's iconic shades (everything from Ballet Slippers to Mint Candy Apple) and sink into one of the oversized, lush leather chairs, which are just as colorful as the polish itself. It's a designer home for a household beauty name. Essie Flagship Salon, 35 East 65th Street (between Madison and Park avenues); 212-472-6805. Photo courtesy Bed of Nails. Harlem's newest nail salon is arguably the neighborhood's most posh; owner Candice Idehen, who's tended to models' nails at global fashion weeks, has stocked her spot with premium lacquers from the likes of Chanel, Deborah Lippmann, Tom Ford, and essie. When she's not on set for magazines such as Bazaar and Vogue, Idehen still takes appointments at her salon. It might not be a bad idea to become one of her regulars before word gets out. Bed of Nails, 2272 Adam Clayton Powell Jr. Boulevard (between West 133rd and West 134th streets); 212-694-2200. So, maybe you're interested in nail art, but you don't want your thumbnails to have 3D dinosaurs playing ping-pong while a Precious Moments kitten pounces on your pinky. That's where Paintbox comes in. The spacious studio features a menu of chic seasonal designs -- for summer, think negative-space manicures in hypersaturated hues -- all dreamed up by celebrity manicurist Julie Kandalec. A host of smart touches (complimentary beverages, iPhone charging stations) has quickly placed this newcomer among the city's best beautifiers. Paintbox, 17 Crosby Street (between Grand and Howard streets); 212-219-2412. Photo courtesy of Fix Beauty Bar. This Upper East Side spot specializes in manicures and hair blowout services...at the same time. Best known for pampering its customers, but also respect your busy schedule, and get you quickly primped and polished and on your way! Fix Beauty Bar, 847 Lexington Avenue (between 64th & 65th streets); 212-744-0800. Photo courtesy of Primp & Polish. No, this isn't the cheapest spot in Brooklyn, and we're not crazy about having to pay $4 more for Dior or Chanel lacquer. But, we're letting that go because of these three words: outdoor pedicure garden. There, you and a gaggle of your best buds can stretch out while your feet are massaged, your hangnails are removed, and your toenails are painted to a glossy shine. No need to worry about inclement weather, either -- the patio is covered, so your crew can get groomed come rain, shine, or whatever crazy stuff Mother Nature throws at us next. Primp & Polish, 172 Bedford Avenue (between North 7th and North 8th streets), Brooklyn; 718-384-3555. Photo courtesy of Vanity Projects. It's not a gallery, exactly, yet this space is so much more than a nail salon. 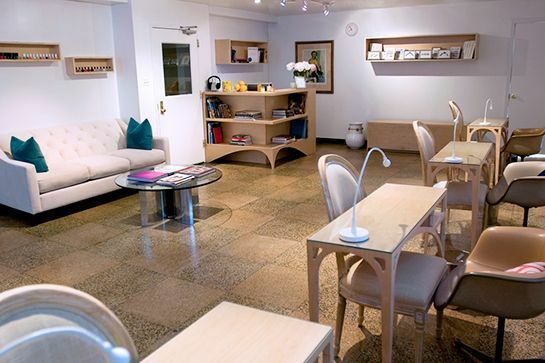 Here, founder Rita de Alencar Pinto fuses two of her professional interests -- fine-art curation and nail art -- into a high-concept mani/pedi studio. 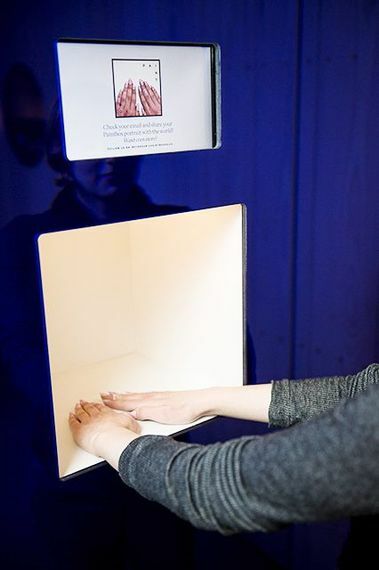 Video-art installations play on the walls, while the "residency" calendar features a rotating roster of well-known nail artists such as Masako Sasaki and Jessica Washick. Vanity Projects, 99 Chrystie Street, 2F (between Grand and Hester streets); 646-410-2928. For info on more polish palaces, visit Refinery29.